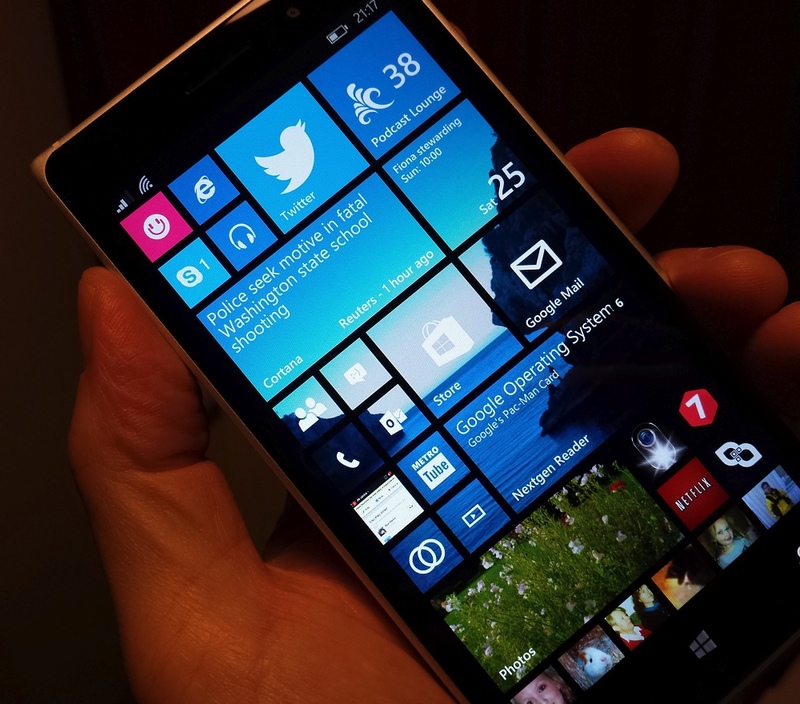 Why Windows Phone in Spring 2015? Rather than quote the entirety of both articles, I'll summarise each as I go along and only quote necessary sections where something has changed. There's a lot of commonality across all platforms now in terms of functionality - each of Windows Phone, iOS and Android now have the basics covered, in terms of PIM, social, email, Web, Maps and navigation, Office document handling and editing, media playback, voice transcription and assistance (Cortana, in Windows Phone's case). The differences between each in terms of scope are relatively minor and a new phone buyer would have trouble picking a winner based on just these conventional bullet points. With Microsoft placing a 'cloud first' emphasis on its applications and services, with OneDrive, OneNote, Office, and so on, all available for other mobile platforms, and with (Nokia) HERE now similarly cross-platform (including the full offline maps), some of the historical unique selling points for Windows Phone are no longer 'unique'. In the face of these two points, essentially underlining the original question, why should a new buyer choose a Windows Phone (over Android and iOS)? (Quoted in full because it's a biggie) For new users ('normobs'), it's almost impossible to crash Windows Phone or bring it to a standstill. The way applications are brought to a halt when not in the foreground, along with very cautious restrictions on background tasks, means that the OS is very robust to ignorance. Start a game loading and press the Windows key halfway through the load? No problem. Run through 30 games, one after the other, without explicitly closing any? No problem. All handled gracefully, even under phones with only 512MB of RAM. In fairness, iOS does pretty well on this score too, with similar handling of running applications, but I'd still recommend Windows Phone as king of the heap here, not least because of no.2, below. The newest of the current mainstream smartphone OSes, Windows Phone's UI was essentially a complete rewrite/rethink, and the OS has ended up with a UI that's fast and fluid, however low you go with specifications. With the example of Motorola, with its Moto E variants, and numerous Chinese entrants to the Android market, it's quite possible to now get great performance on Android, at least if you stay above about £50 on pay as you go (in the UK). So the competition are catching up here, but I'd argue that Windows Phone is still ahead. The biggest and most obvious differentiator has to be the live tile interface and Start screen. The idea is that all your core stats and information are surfaced in a single glance, without having to dive into lots of different applications or spend time swiping around all the time. Android, if set up by an expert, gets close, with its widgets, but as many have observed 99% of 'normobs' know nothing of the OS's flexibility and as a result most users end up with the Android homescreen layout that the manufacturer supplied. Is the same as true of Windows Phone normobs? Not to the same degree, I'd argue - those tiles are just so up front and centre. Going along with the Start screen, it's evident, even on shop shelves, that Windows Phone is different. The tile interface looks very different from iOS's static icons and Android's typical manufacturer or network-centric homescreens. This is still true in Spring 2015 - of course, the 'different' look might be offputting to some, but at least it's a valid plus point and an attraction to many. One aspect of iOS and Android which drives me mad is the way the UI often puts controls near the top of the screen, which is a pain when you're holding the phone one-handed and the screen size exceeds about 4.5". So much thumb-stretching and handset-juggling. On the whole, Windows Phone's toolbars and menu (plus the main capacitive controls) are mainly at the bottom, within easy reach, though with the cross-platform applications like OneDrive and with Windows 10 'design' creeping in, we're seeing the encroach of 'hamburger' menus/controls, top left. This. Is. Not. A. Good. Thing. The jury's out on whether Microsoft will see sense here before it's too late. Controlling a phone requires a very different interface to controlling a tablet or desktop, however common the code. With Windows 10, there's common thinking across phone, tablet, laptop and desktop, even more so than for other platforms. You only have to use a Windows Phone and then use Windows 8 to see the huge similarities in core apps and presentation. If you intend to use Windows 10, then having essentially the same OS and core interface on all form factors has got to be an advantage. There's a lot built-into Windows Phone that's enterprise friendly, not least facilities for encryption and remote management by an IT department. Add in the similarities with Windows 8/10 and the increasing use of 'universal' applications and you can see that going to Windows Phone is an easier sell to management than looking at large numbers of (e.g.) potentially dangerous and incompatible Android devices and tablets. Yes, I used 'dangerous' in the last paragraph, in the context of Android. With the ease with which end users can root, hack or at the very least turn on the installation of applications from 'unknown sources', plus the high publicity given to some Android malware, Windows Phone looks an infinitely safer bet. It's impossible to hack a Windows Phone to install dodgy applications, short of developer hackery on a specific IMEI etc. This is one point which is perhaps less true in Spring 2015 then late in 2014. Despite being generally holistically impressive, the flood of low end Microsoft Lumias and the parallel flood of budget devices from Windows Phone licensees, plus the appearance of some genuinely well built Android devices in the £60-£200 region, all mean that the playing field has been levelled in terms of design and solidity. This factor is also gradually being eroded, but the fact remains that you're more likely to encounter technology like high-spec cameras, Qi charging, ultra-high contrast displays, in Windows Phones, with Nokia's old R&D teams involved, at least. Devices like the £300 (all-in) Lumia 830 prove this point well, which is very well stocked with hardware goodies at a mid-range price. With the pace of development in the smartphone world, the competition is only getting fiercer though, witness the terrific camera capabilities in Samsung's new S6 versus Nokia/Microsoft camera-phone champions. Article coming soon, I promise! Not strictly limited to Windows Phone, of course, but the phenomenon of 'don't worry, we'll fix that soon' or 'yes, we know about that, it'll be in the next update, in six months time' or even 'yeah, we're going to change the kernel, so your devices won't be updated to the new version' - have all been rather familiar to Windows Phone users in the last few years. And, with a bit of a pivot again to Windows 10 later year, history is repeating itself. It's "Jam tomorrow" again and again. Multi-selection only works for stills. Wait, what? Office deficiencies will be solved with Windows 10, of course, but that's a way away. Meanwhile, a lot of other oddities remain unfixed. Yes, yes, Windows Phone includes a 'Narrator' system, but this is currently very region specific and there's no proper screen reader and magnifier. I'm no expert here, but the visually challenged readers who have got in touch tell me that Windows Phone is still not up to par here. The jury's out for Windows 10 in this respect, but I'd expect a delay in implementing proper visual accessibility at the very least. Yes, it sounds odd to be complaining about lack of access to Google's ecosystem from the point of view of Microsoft's (ecosystem) but the big G is the dominant force in online services, arguably, with Gmail, YouTube, Google Maps, Chrome, Google+, Hangouts, and Play Music all having fans. It's true that the third party development scene has come to the rescue for some of these, such as Metrotube, Metromail, CloudMusik, and so on, while HERE Maps arguably obviates the need for Google Maps, but having no Google+ client that works fully, having no way at all to join in Hangouts, even as a 'poor relation', continues to frustrate many - or at least enthusiasts who also have Android devices. Add to this continuing issues accessing Google Calendar reliably (in my experience, with appointment time 'adjustments') and the rule of thumb that if you're into Google services then you should buy something that runs Android is still very much in force. Here in the original list I complained about the official Twitter client, but it's had an update since and is demonstrably good enough, plus the likes of Aeries and Tweetium mean that anyone wanting a more advanced Twitter experience has several options, albeit commercial. Again, back in the original list I was bemoaning the state of Netflix, but a big update since has meant that the movie streaming client now works fine on all Windows Phones, complete with user profiles. Phew! I've ranted a bit about this in the past, e.g. here talking about 1080p/HD games, but the gaming gap between Windows Phone and the iOS/Android duopoly is only widening. Many top leisure titles aren't available on Windows Phone at all, and the ones that do come over are routinely a month, two months or sometimes much longer behind the competition. As an example, see the Real Racing franchise, with Windows Phone being stuck on the 'previous' version (RR2) and with no hope of ever getting the next-gen RR3.... Or International Snooker, with Windows Phone not getting the far superior 'Pro' rewrite... The fluffiest freemium titles are making it over to the platform, presumably because they're seen as money makers from gullible users, but they're not in my view as satisfying as full commercial games. This is going to sound geeky, but there's still no HID (Human Interface Device) protocol for Bluetooth in Windows Phone. It's the magic set of routines that enable Bluetooth keyboards. And yes, WordFlow is nice and quick, but there are. so. many. geeks. who. want. the. option! Being able to hook up a nice Bluetooth keyboard to a Lumia 1520, for example, would be a great combination. We now know that Windows 10 will have full support, plus new devices which ship with Windows Phone 8.1 Update 2 will also have the HID profile, but this still leaves existing devices out in the cold for months to come, unless enthusiasts bite the bullet and join the Insider programme. Where is the 1020 successor? Where is the 935 or 940? All we've had this year of remote interest in this sphere has been the Lumia 830, which is pretty good value but which can't really compete at the high end. Sorry, Microsoft, the platform needs more, it needs a glowing flagship. This will come with Windows 10, but patience is - again - needed. In the meantime, the 'why' list is still valid, pointing out the stuff that Windows Phone and the hardware offered under the old Nokia branded hardware still have unique selling points, even if the highlights are not quite so 'high' in 2015. You can still find stuff that delights in using the high end Nokia Lumias (e.g. Glance screen, not even mentioned above), but you do have to look closely! 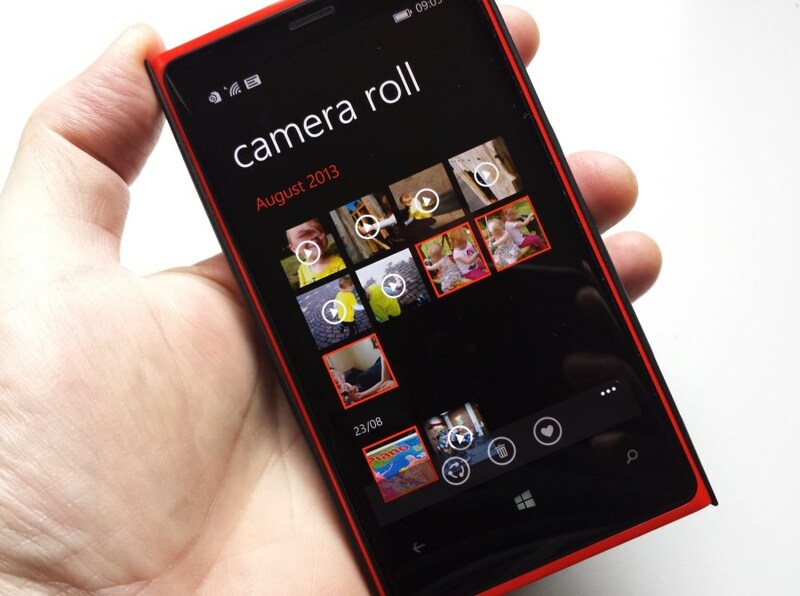 Filed: Home > Features > Why Windows Phone in Spring 2015?